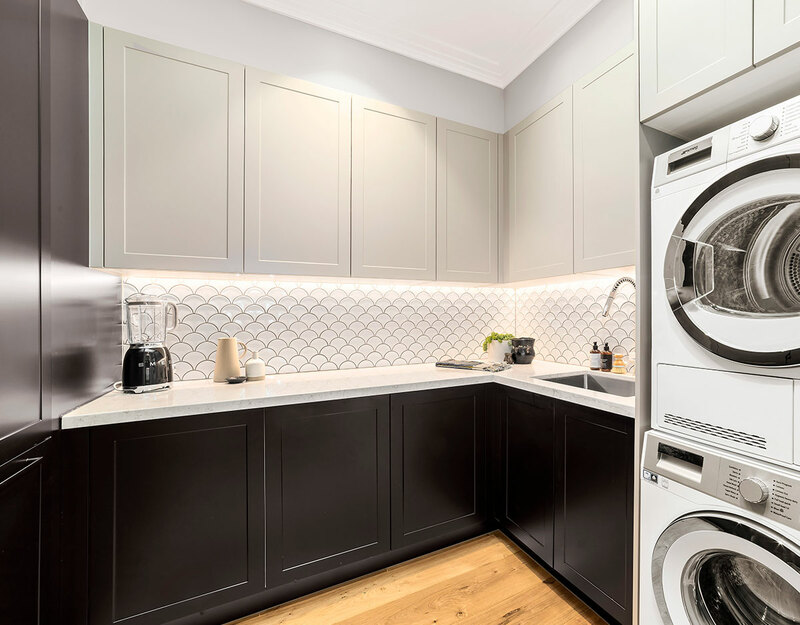 LIOLI: Kinsman Kitchens Impresses in Preston! 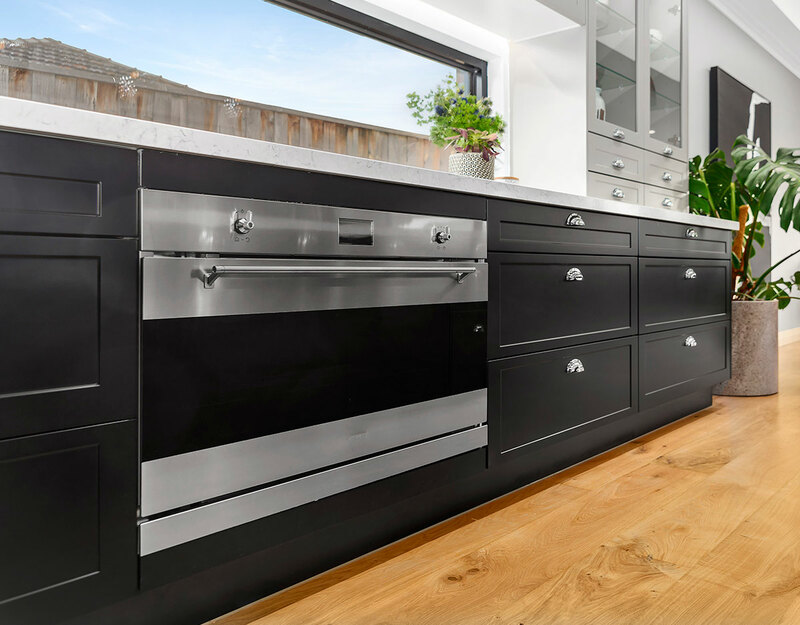 Home/Blog/LIOLI: Kinsman Kitchens Impresses in Preston! 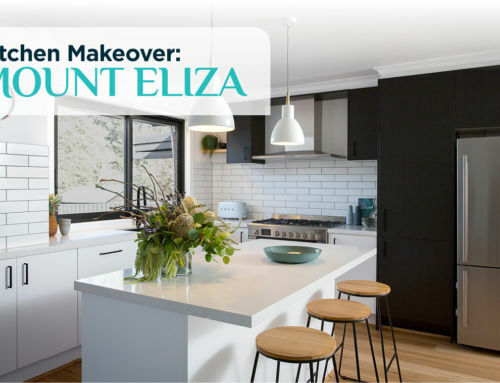 Last night’s episode of Love It Or List It showcased an impressive two-tone modern Shaker kitchen by Kinsman, located in the suburb of Preston, Victoria.  The owners had purchased the home in 2004, and needed to decide whether to stay or sell. 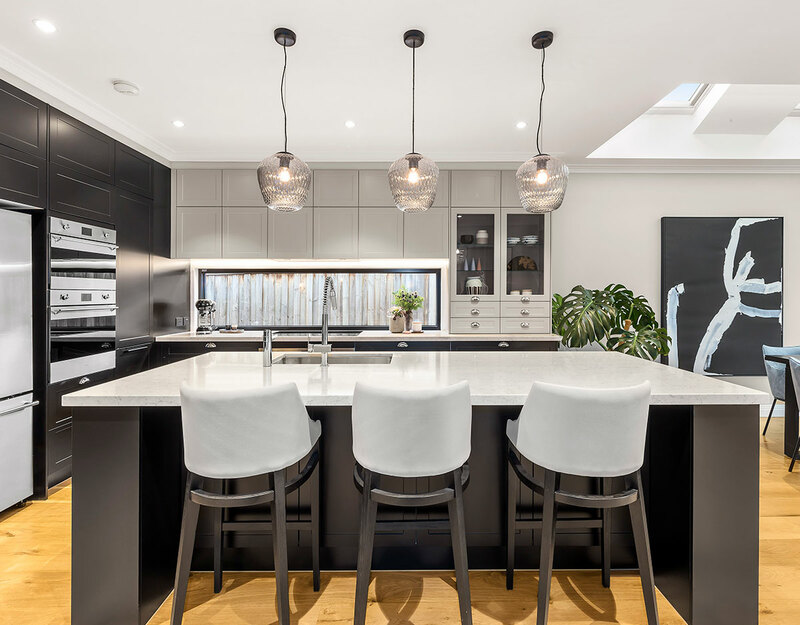 However after some stylish renovations helmed by Neale Whitaker, including the stunning open plan kitchen and living area, the owners ultimately decided to stay in their home – as they loved the results of the transformation too much to leave it! 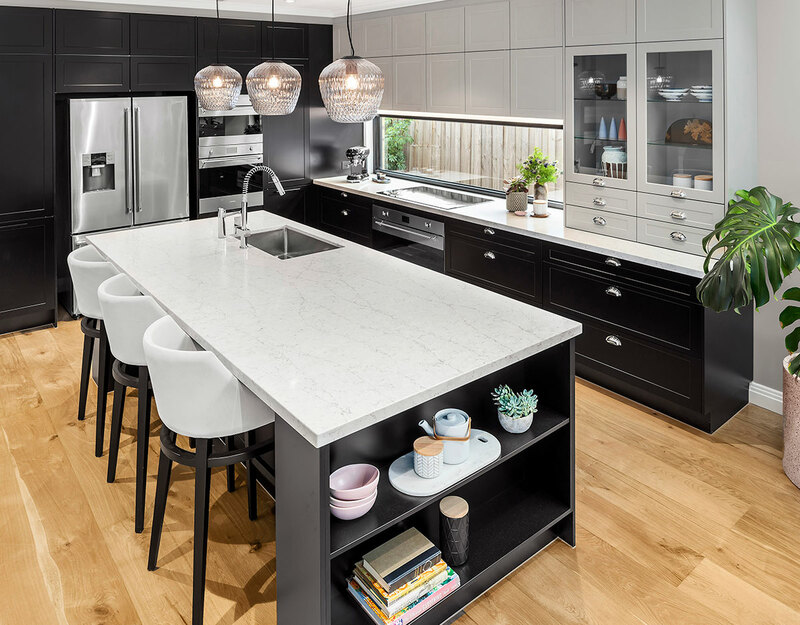 Their Kinsman Kitchen features a floor-to-ceiling wall of Somersby Stone Grey cabinetry contrasted by an adjacent wall in Somersby Black Matt. 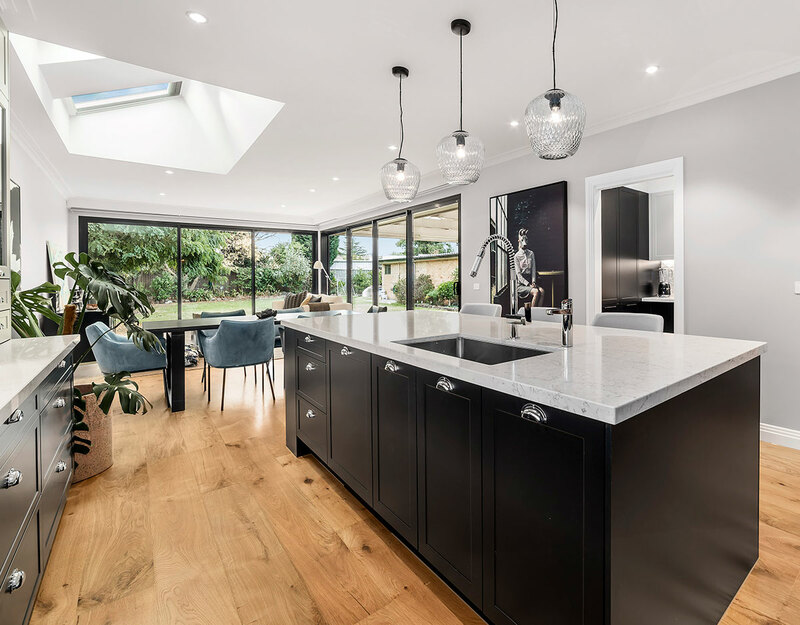 While showcasing a contemporary shaker style, this kitchen also includes glass display cabinets and chrome cup handles as a nod to a traditional kitchen design. 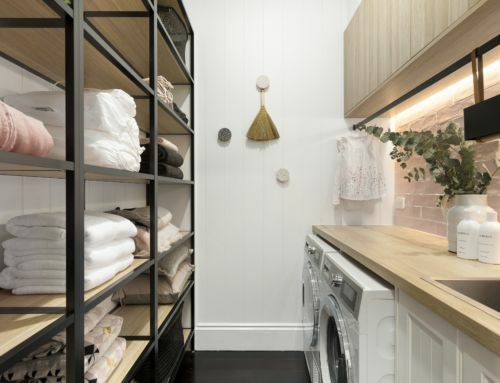 The shelving built into the island bench also creates decorative storage space, ticking the box for form and function. 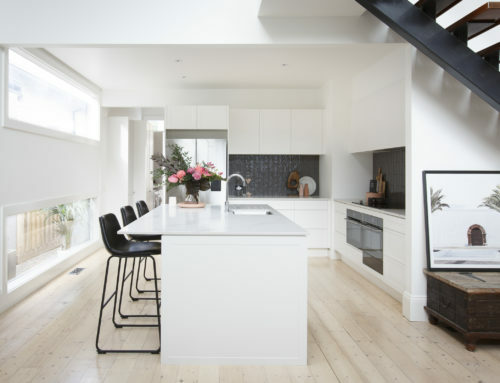 The L-shaped layout complete with a large island bench is perfect for entertaining. 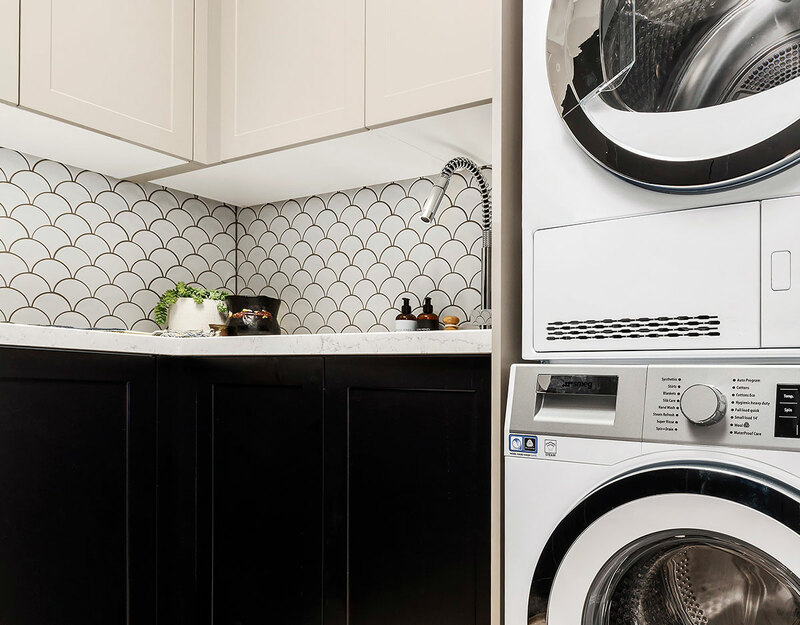 Style points weren’t overlooked in their laundry either, which features Kinsman’s Somersby cabinets to match the kitchen, along with a mermaid tile splashback for decorative interest. 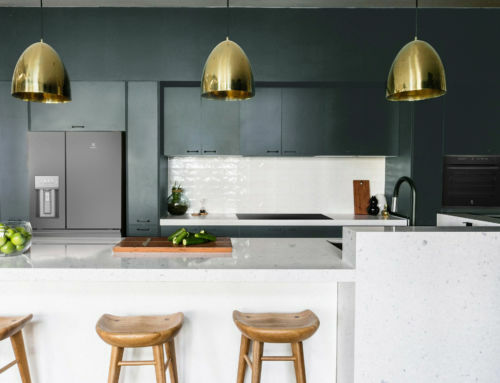 Love to see some of this Somersby style in your own new kitchen? 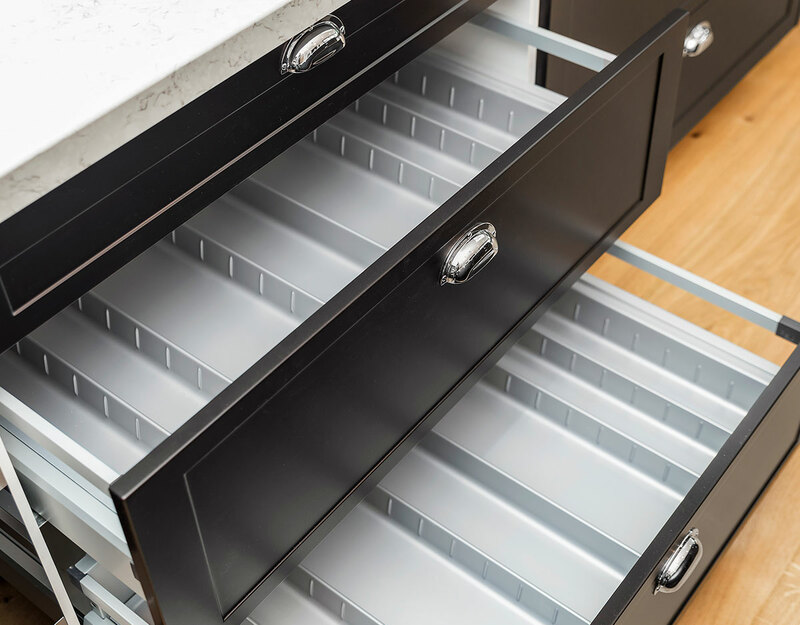 You can save $1000 off your new Kinsman cabinetry now, but hurry – offer ends soon.